Here at Smart we believe in creating a community feel, not only amongst our team, but also in playing an active role in our local community in Thurston and the wider region of Suffolk too. Community engagement is at the heart of what we do here at our dedicated factory in Suffolk. With a staff payroll of over a million pounds, a large percentage of our output is ploughed back into the local economy in Thurston and the surrounding areas of Bury St Edmunds, in addition to the Smart’s use of local suppliers wherever possible to continue to promote a sustainable culture. We are currently working in partnership with Thurston Community College Design and Technology department and collaborating with other schools to establish how we can aid the development and success of students in design and technology based subjects and careers in the future. 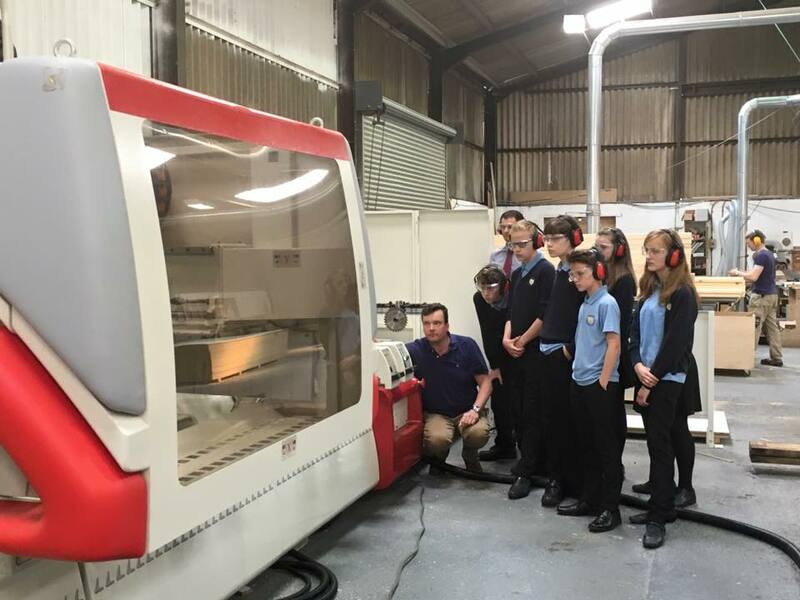 With Thurston Community College, based in the picturesque village of Thurston where are factory and showroom are located, we have been welcoming class visits for year 8 and year 9 students to give them a clear overall view of how our design and manufacturing process works. As part of their visit the students have been set a project to design their own ergonomic integral desk for a garden office and we are looking forward to seeing their design concepts and creating the winning desk design in Autumn 2016. Inspiring the next generation of craftsmen and women is pivotal to the success of British design and manufacturing in the future, and therefore it is vitally important to every member of the Smart team that we are able to help these students feel as welcome as possible for their visits and encourage them to fully access the technology and experience available to them to draw from as they progress into their future training and careers. We are always keen to connect with organisations where we can create positive collaborations for the benefit of the community. If there is a charity or community organisation that you believe Smart could consider working alongside or supporting, or if you are running a community event in Suffolk or Norfolk and think we can help please contact us.